This is an essay in guise of a review. The book in question, Kamau Brathwaite’s Elegguas, recently published as part of Wesleyan University Press’s “Driftless Series” (a new program funded by the Beatrice Fox Auerback Foundation), is highly recommended. But my argument encompasses more than this volume supports. In fact, it’s the inadequacy of this book to represent Brathwaite’s contributions to our culture that worries me. As Brathwaite, who is in his eighties, prepares to leave this world, I hope that his legacy will be given the attention it deserves. 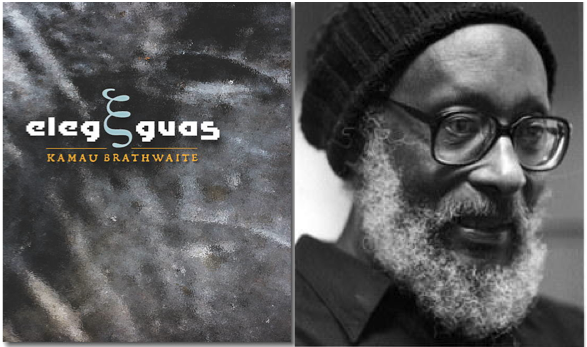 Books like Elegguas (approximately Brathwaite’s fortieth publication) may help the next generation of writers to appreciate his work, but risk framing the writer as an “experimental” poet, one who embraces the margins of cultural life, rather than as a populist and innovator of writing in English who I believe should be regarded as one of the greatest poets of the language in the second half of the twentieth century.